Google’s Nexus 5 is now available, in white and black, on the Google Play store priced at $349 (16GB) and $399 (32GB), which gets you a fully unlocked device. Fundamentally, internally, it’s the same phone as the LG G2, but there are important differences both inside and out. First of all, on the inside, the Nexus 5 runs pure Android 4.4 Kit Kat, so there’s little to no crapware. And, yes, this year’s Nexus smartphone is LTE capable and works on AT&T, T-Mobile and Sprint, but not Verizon. 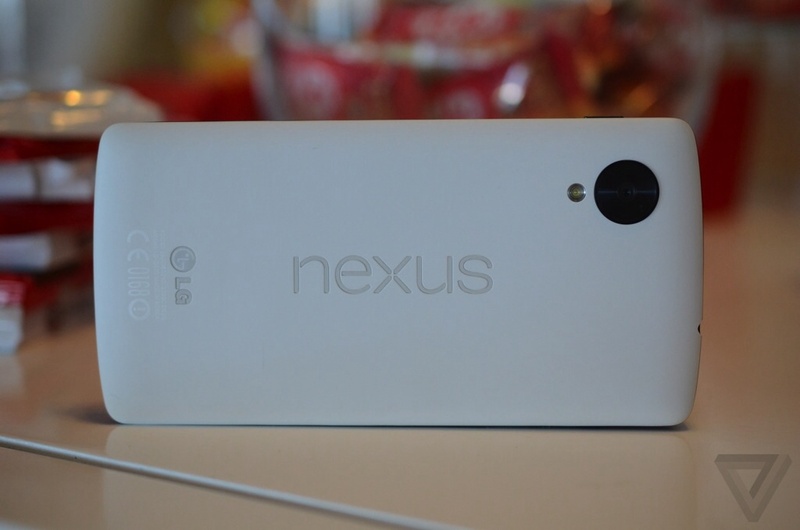 Overall, the Nexus 5 looks like a wildly capable Android phone. It’s fast and big with a beautiful screen and all the accoutrements you’d expect on a flagship phone. As we said above, it has a lean, utilitarian aesthetic that doesn’t quite feel beautiful, but is certainly workable and isn’t without some charm. Like the Nexus 4 before it, we don’t expect it will take the wireless world by storm — but we do expect a tiny slice of users to be very happy with what Google is offering — Dieter Bohn, The Verge. That said, although the Nexus 5’s camera looks good on paper, as The Verge and others correctly note, Google’s previous smartphones have delivered poor camera performance — specs don’t mean much. Also, the Nexus 5, like all Android phones, suffers from lag. Whether scrolling (i.e. Chrome) or flipping through apps, lag is there — it’s just fundamental to Android.